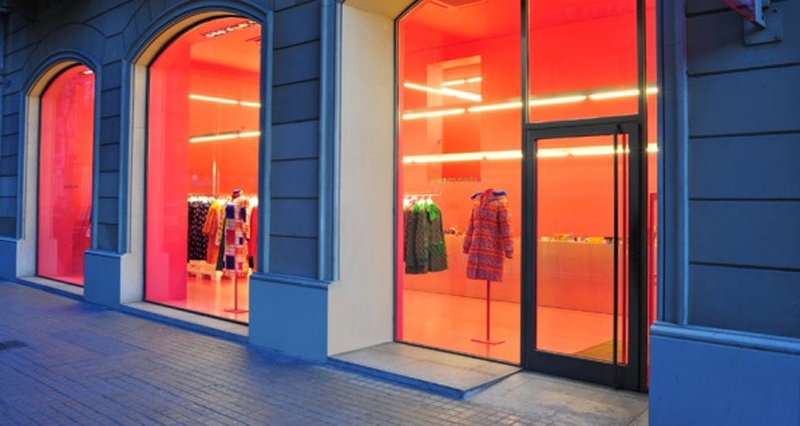 The interior of Magenta, the new store of Agatha Ruiz de la Prada in Barcelona, ​​is designed by Castelveciana Architecture, who have given this store a new skin through color, light and the use of recycled materials, wisely used as reflective surfaces. The intention of “doing little” versus “doing too much” motivated the designers to make something shocking that would attract public curiosity inward through the large windows. The main challenge was working with few resources, economic limits and to be able to enhance them to the maximum. 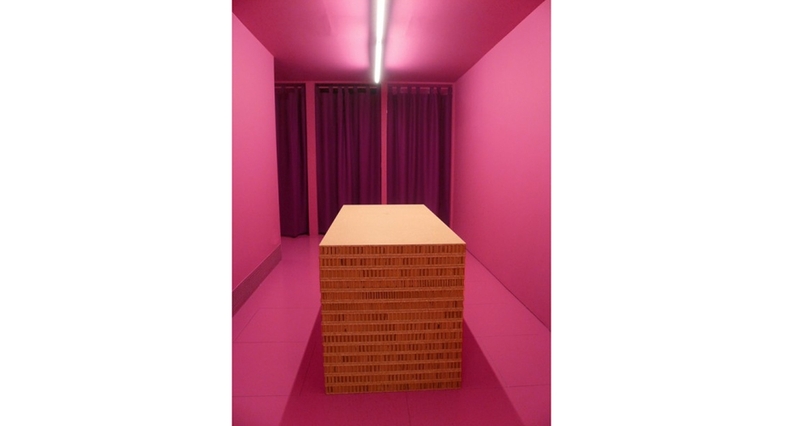 To do this, the color magenta, brand icon, completely filled the space, staining floors, walls and ceiling. The furniture designed for the store has a strong industrial and recycling character. It is displayed as a large object, like museum pieces, presented without altering the original finish. This is the case of expanded polystyrene pallets, exhibitors from agglomerated and cardboard sandwich, counters of MDF board coated aluminum, among others. Castelveciana invited us to work as consultants in the production of one of the exhibitors in raw sandwich panel of aggolmerate and cardboard.